It’s no secret that I tend to go for the thick-cut rustic breads, creamy cheeses and big flavor meats and condiments on Panini Happy. If only I had the robust metabolism to match! Alas, that is not the case. The truth is I do like to indulge every now and then, but I don’t eat like that every day. In between grilling sandwiches like Salami, Prosciutto and Provolone Panini and Green Chile Steak Melt Panini, I do my best to lighten things up a bit. 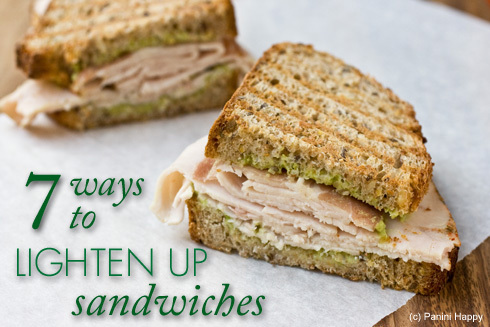 Today I’m sharing 7 Ways to Lighten Up Sandwiches – my best tips for cutting back on the extra fat, calories, carbs and sodium in sandwiches without losing any of the flavor. My Turkey, Prosciutto and Avocado Panini – lean turkey sandwiches on whole grain bread, perked up with a single salty slice of prosciutto and a lemony avocado spread – exemplify several of the tips. 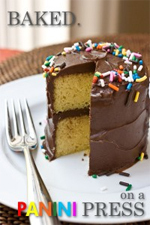 You can find the recipe for it after the tips, at the end of this post. Oh mayonnaise…why can’t I quit you? Mayo brings moisture and flavor to a sandwich but we all know it’s not that good for you. Reduced fat mayonnaise is an easy substitute, but an even better one is avocado. It’s got a creamy texture like mayonnaise but it’s lower in overall fat and calories and high in nutrients like potassium and monounsaturated fats (which can help reduce your bad cholesterol and lower your risk of heart disease and stroke). I like to purée avocado with lemon juice, like I did for today’s panini, to make a creamy spread. 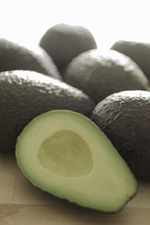 You could always dress up a sandwich with some of your favorite guacamole as well or even just simply sliced avocado. It doesn’t get any more mouthwatering than an Italian meats sandwich layered with thin-sliced ribbons of salty sopressata, prosciutto and ham. To get the cured meat flavor while cutting down on the saturated fat, calories and sodium, go ahead and keep a single slice of salumi (a little goes a long way with these flavorful meats) on your sandwich and swap out the rest for something leaner, like turkey breast. Better yet, choose lower-sodium turkey, as a lot of regular deli turkey contains nearly as much salt as ham. I’ll just say it, I’m not a fan of “reduced fat” versions of cheese, at least where melting is concerned. It has been my experience over many years of trying out different brands that reduced fat cheese can occasionally measure up to their original version counterparts flavor-wise but degrade into rubbery unpleasantness when it’s melted. My preferred approach to cutting down on fat, where cheese is concerned, is to choose cheeses that are naturally lower in fat. Goat cheese, feta, Parmesan and even mozzarella typically have less fat than cheeses like cheddar and colby. Some of my favorite sandwiches that incorporate these lower-fat cheeses include Fig, Prosciutto and Goat Cheese Panini, Mediterranean Grilled Vegetable Tartines and Grilled Ratatouille Panini. If it tastes great between two slices of bread, chances are it’ll make a great wrap too. In general, a single flour tortilla will contain roughly the same amount of calories and carbs as a slice of traditional bread, but you need just one tortilla to fold around your filling ingredients to make a wrap. Go even healthier with a whole wheat tortilla, as I did with my Mediterranean Vegetable Grilled Wrap. In the panini recipes I share on Panini Happy I often finish with a brush of olive oil or melted butter on top, but it’s definitely an “extra”. It’s not a functional necessity – the bread isn’t in danger of sticking to the grill, and it will crisp up just fine without it. Olive oil and butter do help in two areas: added flavor and grill marks. If I’m preparing panini to serve to friends or, say, to take pretty photographs for this blog I’ll go for these flourishes. But if I’m grilling something quick for myself, I usually leave it out. It’s almost too simple an idea to mention – just take off a slice of bread and the amount of calories and carbs in your sandwich from bread is instantly cut by half. I’ve become a big fan of drizzling a little olive oil on a slice of good rustic bread, grilling it on the panini maker for a minute or two until it’s super crunchy and topping it with goodies from my fridge, like fresh mozzarella and tomatoes or hummus. This is essentially the same simple piece of advice as the one above. If going open-faced just doesn’t seem like a real “sandwich” to you (and I hear you on this one) then just go with a half-sandwich. On most days you’ll find me taking this approach. I’ll just take a single slice of bread, cut it in half and make a small sandwich. Or I’ll make a regular sandwich and share half with my husband or my kids. 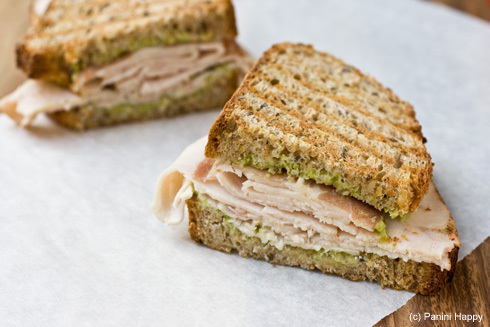 What other tips do you have for making your sandwiches a little healthier? In a small food processor or blender, mix the avocado, lemon juice, salt and cayenne until it’s a smooth and creamy spread. For each sandwich: Spread a few teaspoons of the avocado spread on two slices of bread. Layer 1/4 of the turkey breast and a slice of prosciutto on one slice of bread. Close the sandwich with a second slice of bread. Grill the panini until the bread is toasted, 3 to 4 minutes. Great ideas for lightening up sandwiches! I might add a layer of veggies like roasted peppers, eggplant, zucchini (basically any roasted vegetable), and spinach. Love this post. Mayo has a hold of me, too. Sigh. Luckily, I love avocado as well…not so lucky, I’m allergic to it. The world is just not fair. Great tips, Kathy. Sandwiches are an occasional treat for me, and when I do make one, I always leave off those extras, like a bit of olive oil, or mayo. After a while, you don’t really miss the extra fat — except on your hips! I love that first substitution! What a helpful post. I’m always looking for ways to change up sandwiches, especially to make them healthier. Another great substitute for mayo is using a little bit of greek plain yogurt. It adds some moisture and a little tanginess and is very low in calories and fat compared to mayo. These recipes all look great! wow, that’s a great looking sandwich! And I love the idea of using avocado instead of mayo! Love the idea of subbing mayo for avocado. Will definitely be putting this tip into use. Thanks for much for sharing. I just found and love your blog! I like using different spreads, dressings or vinaigrettes to add a punch of flavor to a sandwich. Low fat tzatziki sauce, olive tapenade, salsa and chutneys are sometimes all it takes to add major wow factor to your meal. I also love using fresh herbs as a way to spike up the flavor, too. Thanks, Anne – those are fabulous ideas! 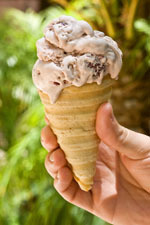 Previous post: Win Chocolate Chip Cookies from Tate’s Bake Shop!